Flies outdoors in almost any weather. Nurtures creativity and rewards with successful flight. 1x Laser cut balsa parts set. 1x Red Arrows self-adhesive sticker sheet. 1x Catapult launch handle and rubber band. If your kids are keen to get involved in building and flying model aeroplanes and, perhaps, progressing to radio control then theres only one place to start - at the beginning! 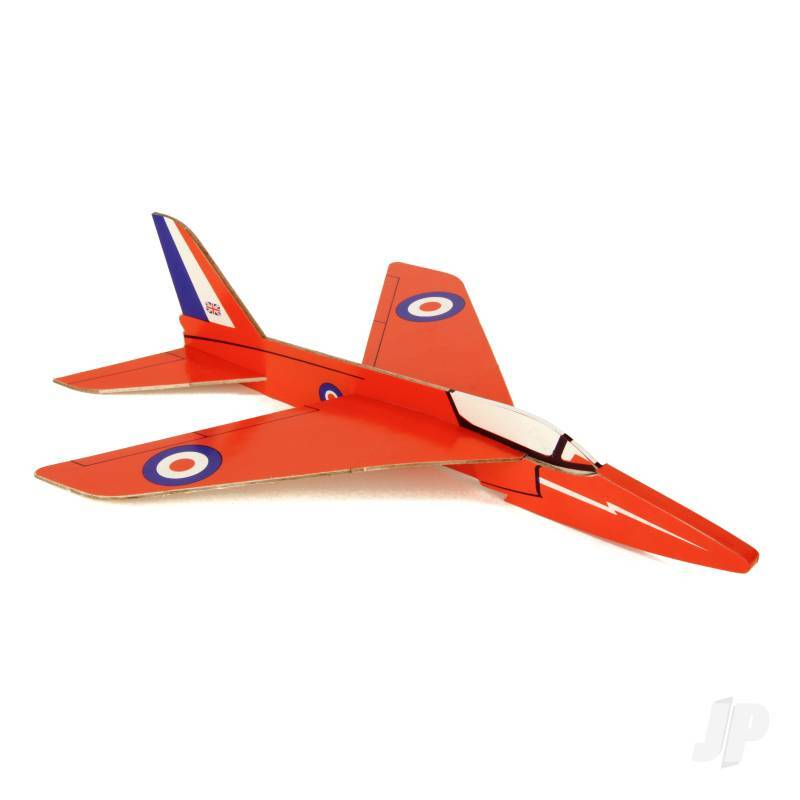 Easy to build and dead easy to fly the DPR Super Jet Series of catapult launch gliders are perfect models to help nurture creativity, teach basic assembly skills and reward with fast and exciting flying characteristics. Theyre tough too, built to withstand the mishaps that younger modellers will inevitably make when learning the subtleties of model flight.